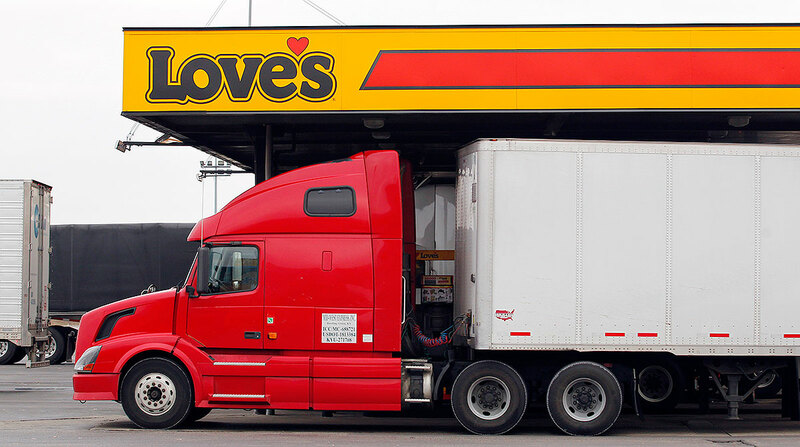 Love’s Travel Stops now offers its own private-label diesel exhaust fluid in a 2½-gallon container for auto diesel customers and professional truck drivers. The product is available at all locations. With this addition, Love’s is the only travel stop to have its own privately labeled DEF product, according to the Oklahoma City-based company. “By working with our sister company, Musket, to develop a DEF product that performs as well or better than the bulk DEF product we have at our diesel island pumps, we’re able to garner that trust and quickly get our customers back on the road,” Love’s Senior Category Manager Wade Hollis said in a statement. DEF — a urea-based solution — is sprayed into the exhaust stream of diesel vehicles to convert emissions of nitrogen oxides into nitrogen and water. Love’s Travel Stops & Country Stores has about 470 locations in 41 states.